Phobias are characterised by intense and irrational fears of an object or situation which pose no real threat and often develop from childhood experiences. 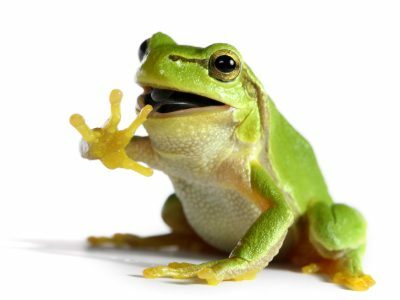 S had a phobia of frogs so severe that when her daughter produced a picture of one, on her phone, she started to gag and heave. This was how it came to be that I helped her to resolve this phobia, when I saw her reaction in a cafe one day; she had not actively sought help because it was not an everyday issue but when I suggested that she could get rid of it, for good, S jumped at the chance. Talking about her worst memory, S recalled an incident when, as a child, she had been playing in the garden one Summer’s afternoon. Her father had started to mow the lawn and, being a curious child, she was hanging around his legs as he pushed the mower to and fro. Suddenly, without warning, a frog had jumped up but it was too quick for her father to react and the poor creature was savagely shredded under the blades. Witnessing everything, a horrified S had immediately begun to violently vomit. Since that day, S’s reflexive response upon seeing a frog was to replicate the motions of being sick. Knowing how she would prefer to respond, a quick session of BWRT did the job perfectly. But, just to check, before leaving I asked her daughter to show her mum the same frog photo. And S’s response? She just shrugged her shoulders and smiled bemusedly as she took a sip of her coffee. W booked an appointment because of an upcoming hospital appointment that he was very anxious about. He had discovered a lump and was worried that it was cancer. That in itself was not the thing which was troubling him, however. He was a pragmatic person and stated, matter-of-factly, that death comes to us all. The thing that was really bothering him was if, in the event that the lump was cancerous, he might need to undergo a course of chemotherapy. He knew well enough that such a treatment can induce vomiting, which was the crux of the issue. W said that he had spent his entire life avoiding anything and everything which he thought could possibly make him sick, adding that he was obsessive about hygiene. When he was a young child of 6 years old, W remembered being very sick and his mother shouting at him for vomiting everywhere (he had not been able to reach the bathroom in time.) A single session of BWRT helped to change W’s behaviour-response into his preferred way of being, which was to feel fearless and relaxed whenever he thought about the possibility of being sick. Happily, when W got in touch a couple of weeks later, it was to tell me that the old fear had completely disappeared and the test results showed that the lump was benign. A pragmatic approach to life and death was not something gifted to M. She had a morbid fear of dying which she believed had come about when, as a very young child, she had suddenly become aware that her mother would not be around for ever. She said her mum was explaining that Granny had died and, in answer to M’s questions, replied that yes, she would die one day, too. M could clearly remember the fear that engulfed her at that moment, wondering how she could possibly survive without her mother. As an adult, her atheist position only served to make her fear worse, believing that life was ultimately pointless because death was nothingness. 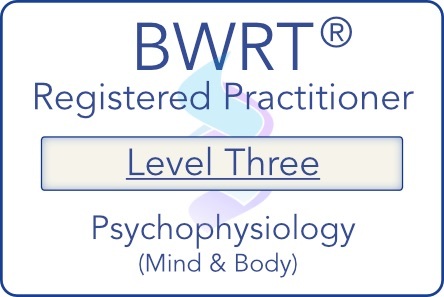 As with all fears and phobias, a brief treatment with BWRT helped M to overcome her fear so that she was able to believe her mother would always be with her, in some way, and that she had all the resources she needed, as an adult, to survive whatever life throws up. If you would like to discuss how Claire can help YOU with any kind of phobia or anxiety get in touch, today.